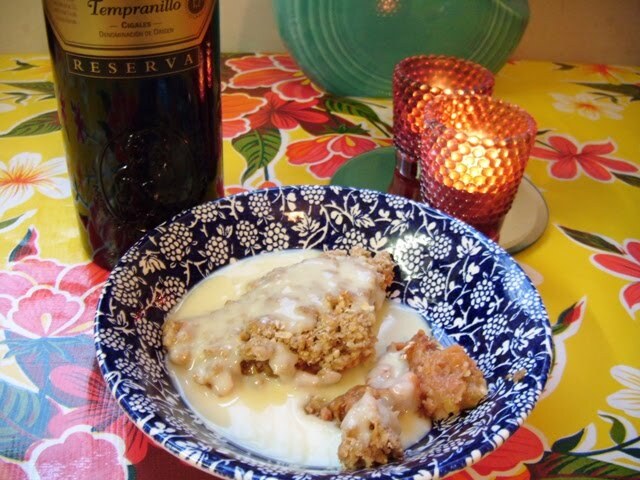 My friend Debbie brought us rhubarb from her garden in Kilconnell and I couldn’t decide whether to make my rhubarb cake or a crumble with it. Mr Vegan loves crumble so, as it’s a bank holiday week-end, and we actually get some time together, I went for that. The recipe is spliced from several different ones and I threw in a pear for sweetness. It’s nice and spicy and the crumble is good and thick. We had it with soya custard. Yum!